SOUL FOOD FOR THE HUNGRY ADULT; Feb. 10, 2013, Fifth Sunday In Ordinary Time. SOUL FOOD FOR THE HUNGRY ADULT: FEB. 10, 2013, FIFTH SUNDAY OF ORDINARY TIME. See ‘Mass Readings’ in Homepage for today’s readings: Gospel is from Luke 5:1-11. 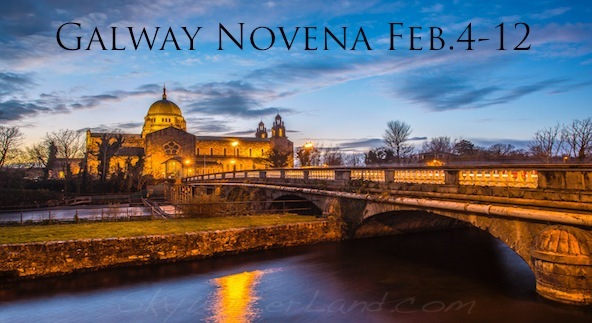 This past week, great crowds are flocking to the Novena in the Cathedral in Galway City,- over 12,000 people each day. There’s a great buzz, and a sense of great joy. People a times feel a great hunger in their hearts for words of comfort and of challenge, words to give them hope and a vision again. They are starving for meaning, and starving for belonging. There’s so much confusion around us, at times, so much to dishearten us with what goes on in our society. It can get us down. And here today we have ‘…the crowd pressing around Jesus, listening to the word of God’. Jesus was there with his feet at the very edge of the water of the lake of Galilee. There’s little enough space along the shoreline for crowds to gather. He had no choice but to look around and ask for a boat, so he could get into it and be safe while he was speaking to the people. As well as that, sound travels better on water, so maybe they could hear him more clearly when he was a little out from shore. We don’t know what Jesus said to them, nor how he taught them. But what happened next spoke louder than any words: he turned to the fisherman (Simon Peter), and asked him to ‘launch out into the deep’. When he did, and when he (reluctantly) cast out his net, there was an enormous catch, such that a second boat (James and John) had to come, and the two boats were down to the gunnels with the size of what they had caught. That’s what happens when we ‘launch out into the deep’ of God’s word to us his people: our hearts are filled to over-flowing,- we find meaning and purpose and joy and new hope,- we are fully alive again. Launch out into the deep- today! ← SOUL FOOD FOR YOUNG ADULTS: February 10, 2013: Fifth Sunday in Ordinary Time.